Waking up this morning was tough. I slept so well last night that saying goodbye to the warmth of my sleeping bag was even more difficult than it usually is. Regardless, upon hearing my alarm, I groggily called across to the boys in the other tent that it was wakeup time. 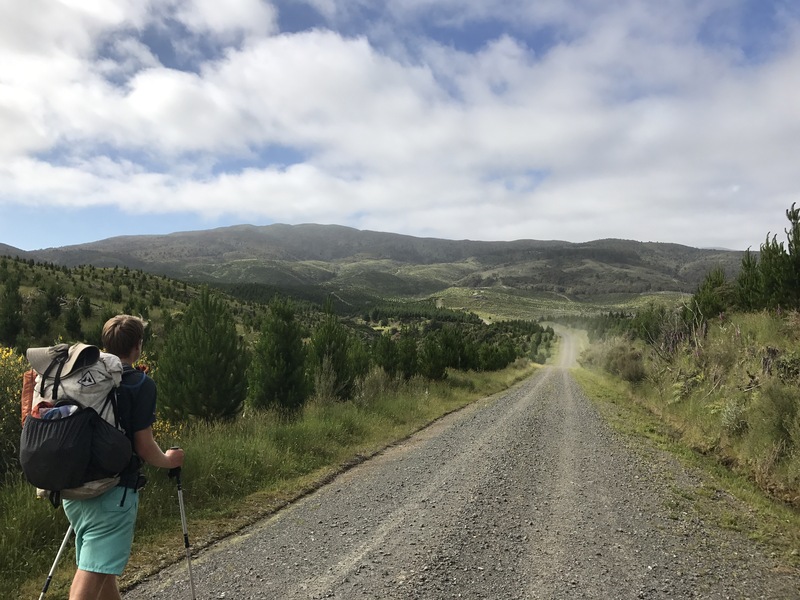 We packed quickly and silently, had our lovely breakfast of OSM bars, filled up some water for the day (not much as the maps indicated plenty of streams on our way), and head off up the gravel road. As has become our usual custom, we read from the final few chapters of Harry Potter and the Sorcerer’s Stone as we climbed the gentle incline. Soon, gravel road turned into Back Track, eventually into gorgeous backcountry logging track with views of the surrounding hills. Not quite in the mountains yet, but things started to feel bigger. We planned for yesterday, today, and tomorrow to be shorter days, to create some distance between us and the big group ahead before the mountains. 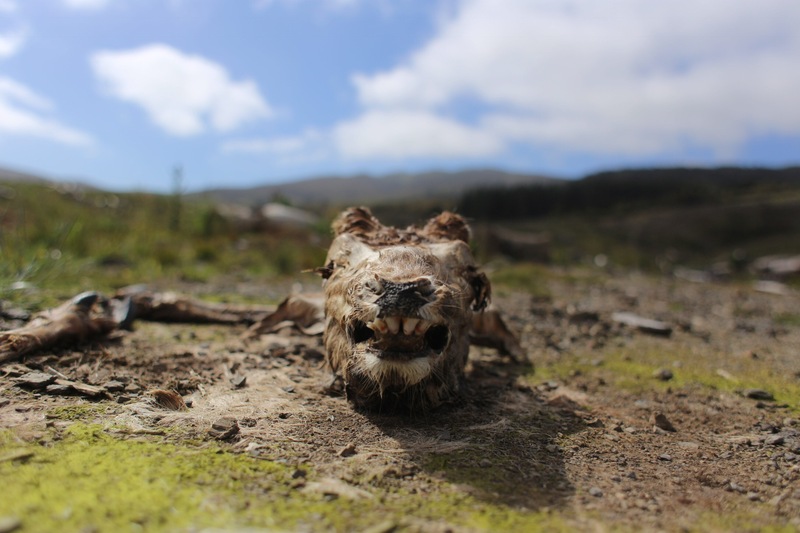 As a result, we could afford the 20 minute Harry Potter break we took at a nice spot on the logging track beside a menacing goat skull. 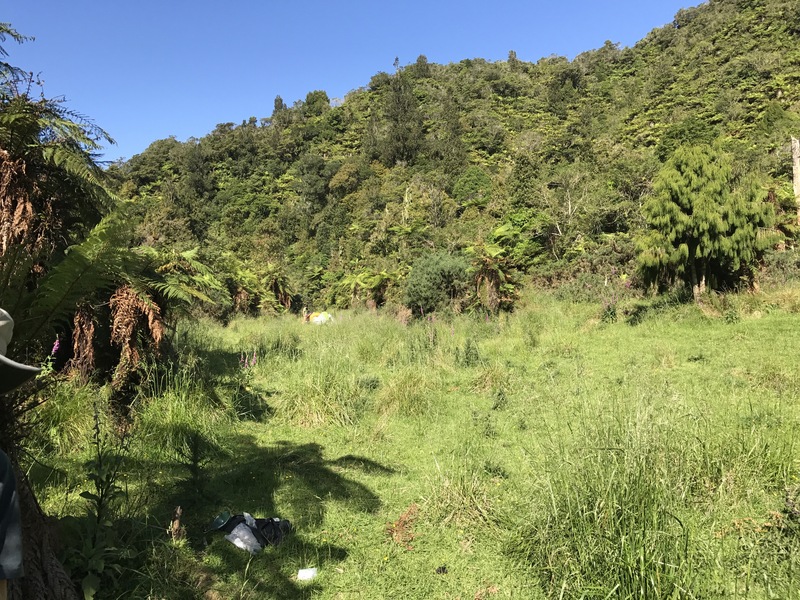 We soon moved along and began to climb up a less established 4wd track on our way toward Burttons Track, our official entrance into Tararua Forest Park. The climb to Burttons at roughly 1,500 feet was enhanced by Harry and Voldemort’s first battle of the series. Just before the culmination, we entered Burttons track, and paused reading for a spell. 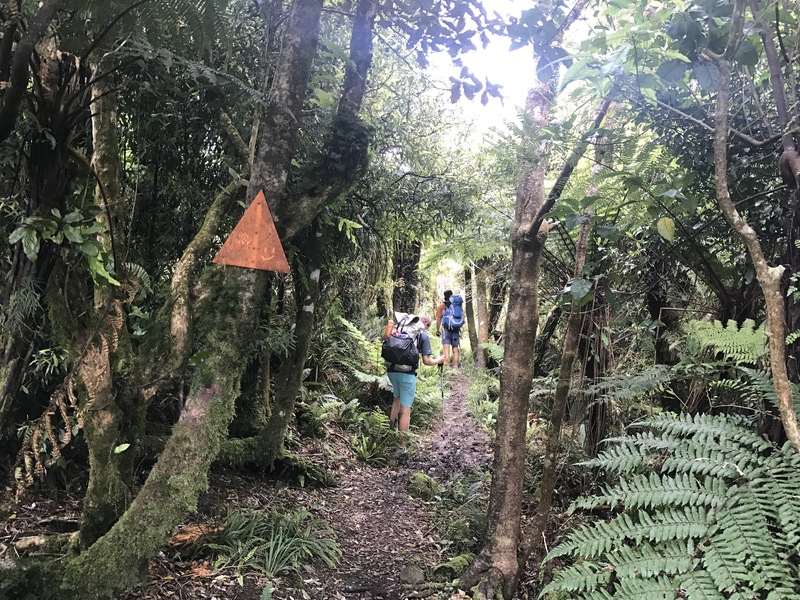 Burttons Track was beautiful and our first forest in about a week and a half (not counting the Whanganui River). The trees, as they do in most North Island forests, reminded us of the Northland Forests. Crazy to think that was 50 days ago. 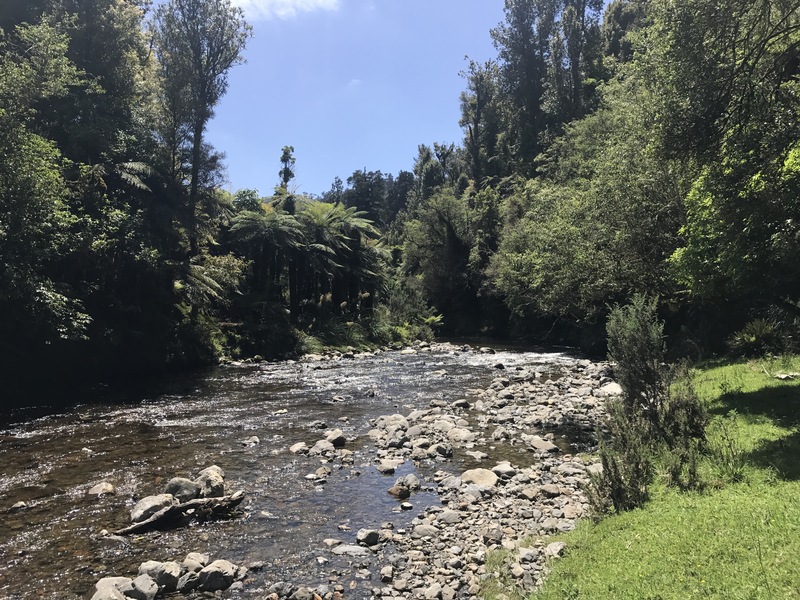 The rest of our day consisted of crossing beautiful forest streams, and even wading through the big and beautiful Tokomaru River. 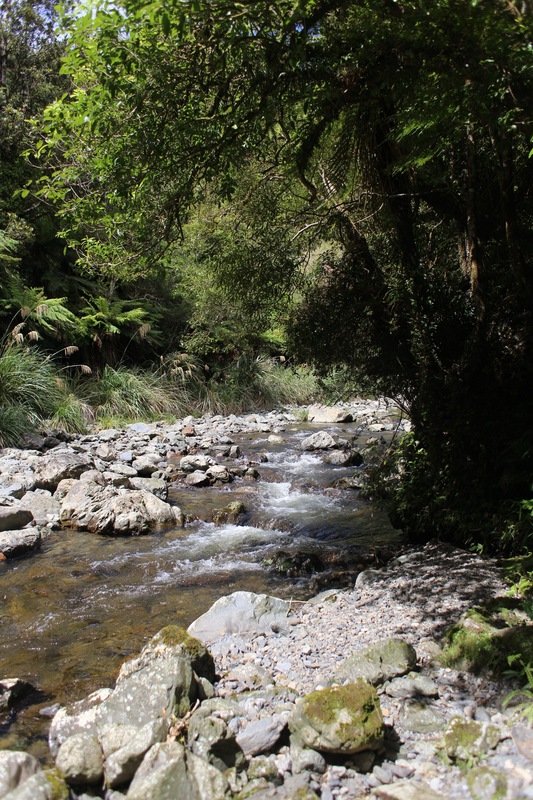 There are plenty of gorgeous spots for lunch and even camping along the river and streams. 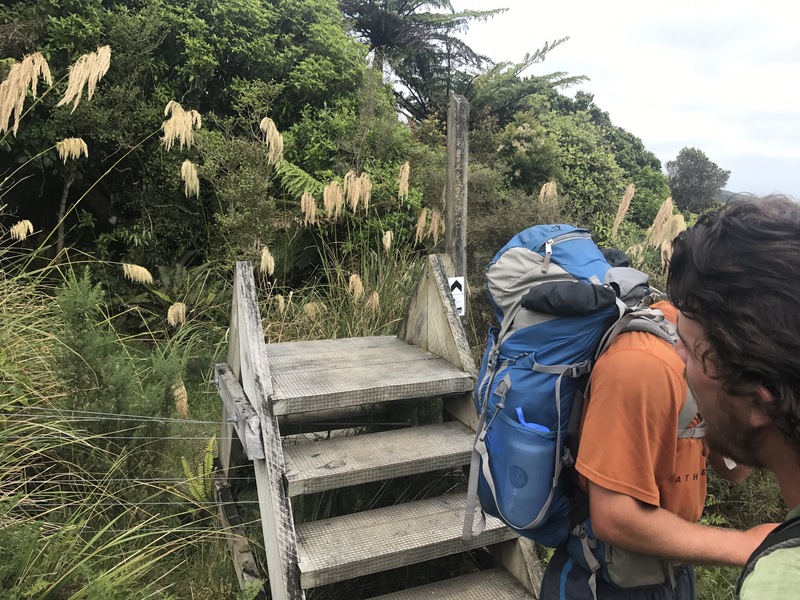 At the Whare Site, we stopped for lunch and took a nearly 2 hour Harry Potter break, aware that we were only 2.5 km from our goal for the day. 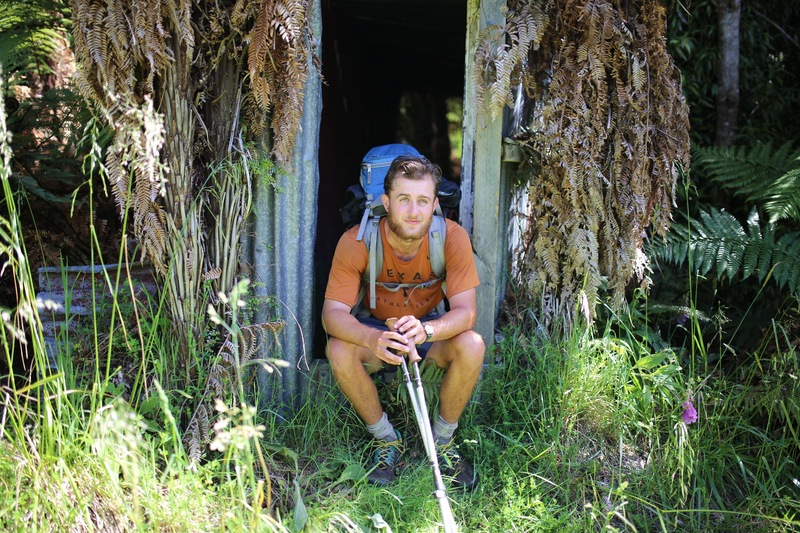 After Potter, we made quick work of those remaining km and found a beautiful spot off the track by the river past an old corrugated metal shelter. We set up tents and Jack and I took a quick cooldown dip in the river. 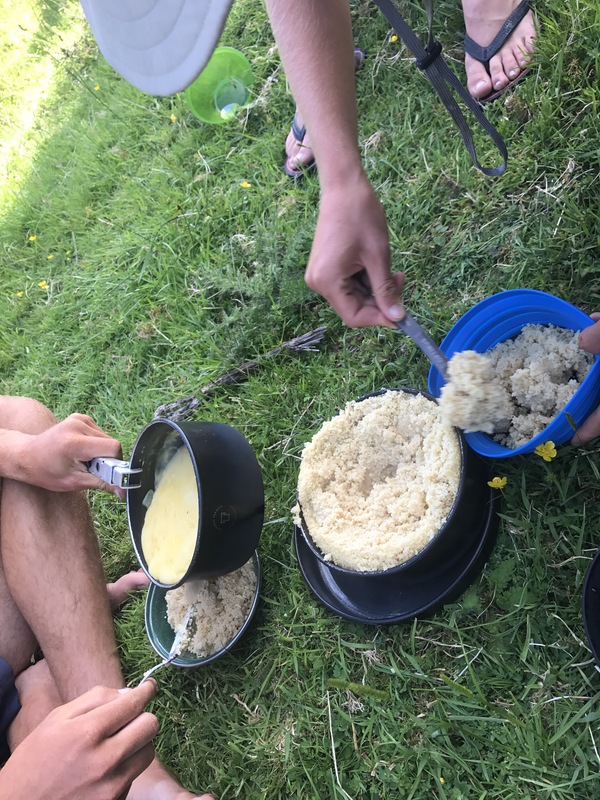 We read Harry Potter until dinner time and ate Cous Cous with onions and cheese. After a dessert of mint cookies and shortbread, we played hearts and recorded a nice interview. Awesome day, one of my favorites in a while. Gonna miss these boys a ton when we part ways briefly in Wellington. Looking forward to the mountains.